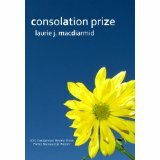 Consolation Prize: A collection of poems devoted to family history. Buy it on Amazon.com. Float: A chapbook of poems exploring motherhood. Buy it from Finishing Line Press. T. S. Eliot’s Civilized Savage: Religious Eroticism and Poetics: A critical study of T. S. Eliot’s poetry and sexuality. Check it out on Amazon.com. “I am Loose Now, and Rising,” in jmww. A small meditation on Louise Gluck’s “Mock Orange” in Voltage Poetry.